List of Recipes from virtual bloggers party on Monday 2-23-2009. Fry mushrooms, onion,garlic, zucchini and squash in olive oil. Mix 1/2 cup of mozzarella with ricotta cheese. Layer accordingly, adding spinach (don’t cook spinach first becasue it will add moisture). Bake 350 for 30 min to an hour. 1. Heat oven to 350°F. Line 2 (9-inch) round cake pans with foil; grease bottoms only of foil with shortening or cooking spray. 2. Make brownie mix as directed on box, using water, oil and eggs. Divide batter evenly between pans. Bake 22 to 26 minutes or until toothpick inserted 2 inches from side of pan comes out almost clean. Cool completely in pans, about 1 hour. Do not remove from pans. 3. Spread slightly softened ice cream evenly on brownies in pans. Freeze at least 2 hours until ice cream is firm. 4. Remove desserts from pans; remove foil. Place on serving plates. Cut each dessert into 8 wedges. Decorate with candy sprinkles and cherries. Store covered in freezer. Slice the loaf into roughly 1 inch slices. Spread with butter and keep aside. Mince the garlic and sauté in a small amount of butter along with the herbs until aromatic. Combine the cream cheese with remaining condiments, garlic and herbs. Spread the mixture thickly on the buttered slices and top with a sprinkle of mozzarella. Grill at 475°F (250°C) until the cheese melts and begins to brown. Note: Adjust all ingredients to taste. Combine all ingredients and mix well and chill. Serve with crackers or bread. I use sourdough bread cubed up using the “bowl” of bread as serving bowl. You could add ham or turkey or really any meat you wanted. I love food parties!!! I brought my “Chicago Style Italian Beef Sandwiches” along for everyone to enjoy!! The sweet Southern celebrity chef and entrepreneur shares a Savannah-style dish that’s worth every bite. Mix all ingredients together except the peanut oil. Shape the mix into patties (cover with panko crumbs if the mix is not sticking together). Pan-fry in peanut oil over medium heat until browned, for 4 to 5 minutes. Flip and repeat until golden brown. Starla’s pick from Sara and Tim’s blog. It really is the easiest recipe in the world – if you can’t heat it up it’s still good, if you don’t have bread it can be stuck in the microwave and eaten with crackers, and pretty much anything can be substituted/increased/decreased depending on your taste. ENJOY! Let Sara and Tim know what you think! In a chilled bowl, beat cream until medium-stiff peaks form, adding sugar during the last few minutes of beating. Fold in sour cream and blend. Makes 1-1/2 cups. Combine the chicken, pecans, green onions, and celery in a large bowl. In a separate small bowl, mix together the mayonnaise, sour cream, lemon juice, salt, and pepper. Stir into the chicken mixture. Refrigerate until ready to serve. In a medium-size bowl, beat together the cream cheese and half and half until it is the consistency of soft butter. Stir in the chives. 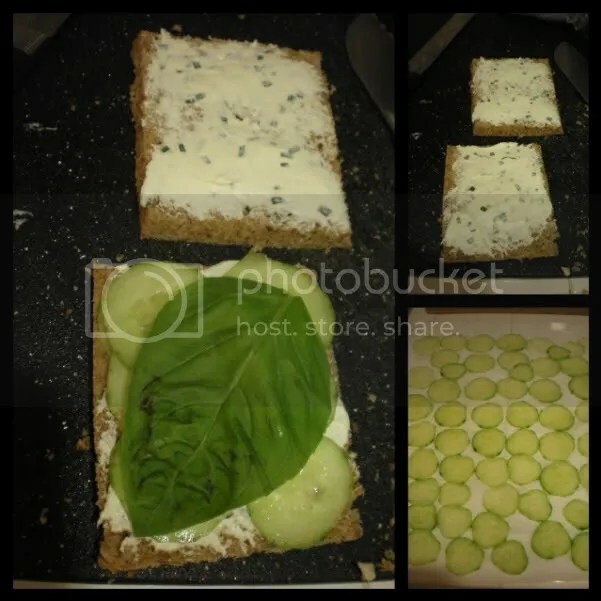 Spread the cream cheese mixture on the bread and top with several slices of cucumber and a basil leaf. Serve the sandwiches immediately, or cover with plastic wrap and refrigerate until ready to serve. Starla’s pie pick. It is my favorite pie. I found this Pie recipe it was a contest winner for the City Market store in Colorado. It was a grand prize winner by Patricia Allen of Palisade, Colorado. 1/4 Cup butter 4 to 5 Tblsp cold water. For Pastry, cut lard into flour. Add remaining dry ingredients. Slowly add cold water. Work and form into pie shell. Place peaches in shell. Mix sugar, flour, sour cream, eggs, vanilla and salt together. Pour over peaches. Bake at 450′ for 15 minutes. Reduce heat to 350′ and bake 30 minutes longer. Mix topping and sprinkle over the top of pie. Bake 20 minutes at 325′. Nothing Pie can’t make better or at least almost nothing. Enjoy. Let me know if you try this pie out and how you like it. I love this pie. I may post other pie recipes or not. Hard tellin . Posted by Morocco in food. I recently had peach butter at a restaurant that was fabulous! So I searched the internet and found a recipe from Gale Gand to try. It is really good and simple to make. You can use it on waffles, muffins, breads or just about anything you’d like! It also would make a nice gift presented in a pretty glass jar with a cute little ribbon. In a small saucepan, bring the peaches, orange juice and sugar to a boil. Turn down the heat and continue cooking until the peaches are tender and cooked down to a jam-like consistency. Let cool. In a bowl, using a wooden spoon, blend the butter with the cooked peaches, making a “compound” butter. Chill in a ceramic pot till ready to use and soften slightly when serving. 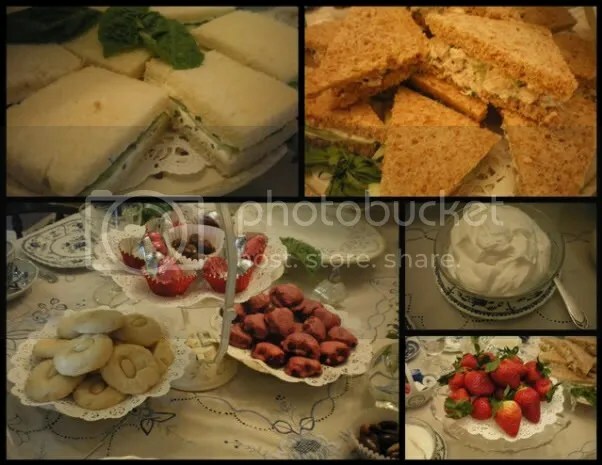 I recently found this website called Starla’s Vintage recipes nice name not me, but I enjoyed looking at her website lots of old recipes from family recipes boxes also great old family pictures. I enjoyed the pie and pickles and canning jam recipes. Love this section of your blog. I will be using some of these very yummy sounding recipes!!! Thanks Keith, Glad you came by one of my favorite dessert recipes is the pie recipe. I also found another pie recipe I might try soon and that’s rhubarb and strawberry with a ma-rang top. Lot’s of other yummy recipes from friends. Feel free to add a recipe if you would like the more the merrier.